Just last month, the CEO of Google testified before Congress. But in typical liberal fashion, he uttered lie after lie. 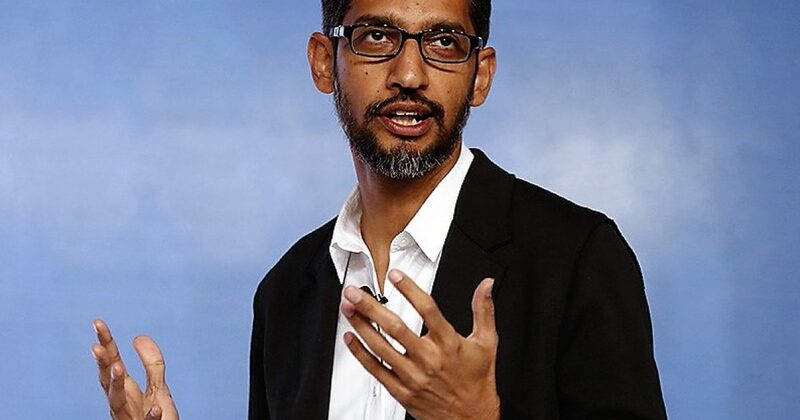 One of the lies Google CEO Sundar Pichai told Congress centered around search results. Pichai clearly stated his company never “manually intervenes” on any search result. But internal documents prove otherwise. Am I the only one wondering why leftists continue to lie about things when there’s a paper trail a mile wide to expose their dishonesty? But back to the search results- according to Google, we see the organic results every single time. Of course, YouTube started out as the place to share skateboard crashes and cute baby babbles, but it didn’t take anyone long to understand just how powerful the medium really is. Although YouTube isn’t a news outlet, people post more than 300 hours of video every single minute. Therefore, the space should be equally accessible to different schools of thought. But that’s not the way liberals want things to be. They want the rest of the world to drink from the same poisonous tree. Their mantra is to squash the voice of conservatism at every possible angle. Thus, the pro-life videos were forced out of search results. Sadly, it was extremely easy to make such a dramatic change. All it took was a phone call from a journalist and BAM! The videos moved. I bet Hillary wishes her emails could disappear that easily. And this is just the example of abortion. If you’ve ever watched Dr. Phil, he has a phrase he likes to use. “For every rat you see, there are 50 more hiding.” There’s no truer tale. If YouTube is willing to manipulate abortion results, what else are they hiding, or showing for that matter? Apparently the complaint from just one Google employee was enough to add “Maxine Waters” to the blacklist. The employee felt her search result was “low quality”. YouTube is billed as a platform for free speech. But clearly, the free speech is only available on the left. And any claim made to the contrary is just an insult to our intelligence. But that didn’t stop YouTube from trying. I guess it was just a convenient fringe benefit when pro-life videos were moved down while pro-choice videos were manually put on top. Of course, as a subsidiary of Google, it’s pretty clear that this all comes back to Trump-hating. Google wanted Hillary to win. In fact, Google invested money into Hillary. And when Trump took the cake, Google employees cried in their binary code. Since they can’t get rid of the President, they’ll settle for the next best thing: silencing those who share his values and vision.